Most marine animals descended from land and possess qualities that evolved slowly over time. From habitat to adaptations, land and sea dwelling animals have both similar and different characteristics. The most differences lie in body parts, body coverings and behaviors, such as how the animal moves. 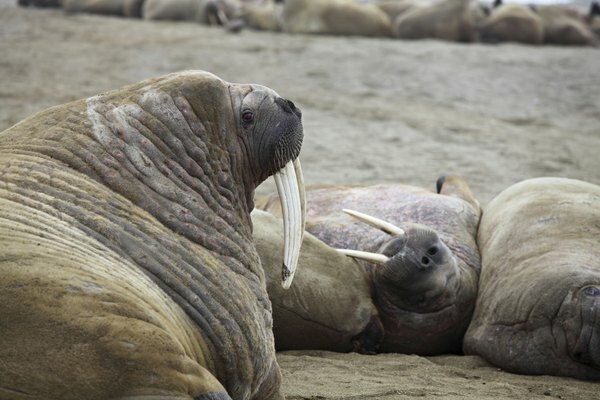 Walruses, sea lions and seals are pinnipeds, or semi-quatic marine mammals, that descended from animals that once lived completely on land but evolved to live in the oceans. The evidence is in their skeletal structures. Seals, sea lions and walruses have flippers but underneath the flippers is a skeletal structure with feet, hands and a tail. The difference is that most land-dwelling animals have toes and fingers with a bone structure that supports their weight on all fours. Skeletal structures of fish are even more different from land animals. Their bones are more fragile and account for fins and tails. Some land animals are similar to sea creatures because of evolution. 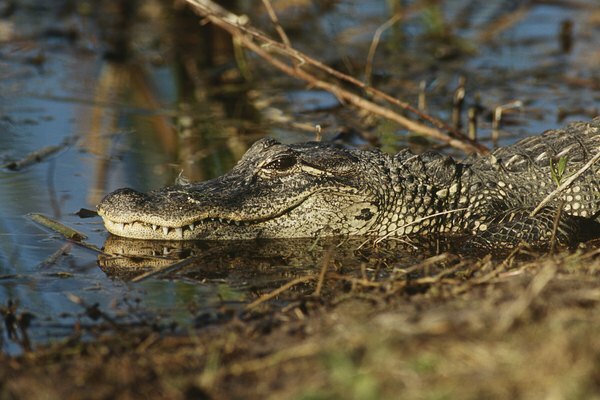 For example, the alligator possesses a bone structure that allows it to swim but also walk on land. However, most sea creatures have fins and do not welcome walking on four legs. Most fish, for example, adapted from land mammals, so fins are often where legs and arms used to be. A fish's tail moves from side to side in a sculling motion. However, a tiger's tail is needed for balance and body language, but their legs and paws are what allow them to run quickly over terrestrial land. There are not many fuzzy creatures underwater. 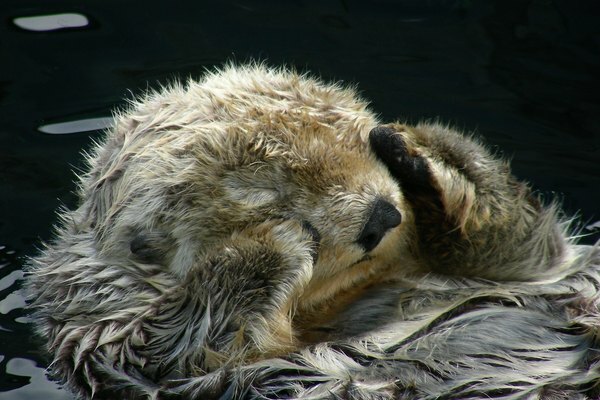 Sea otters and seals often have fur but lack a fat layer, allowing for dense pelts and oily coats that repel water. 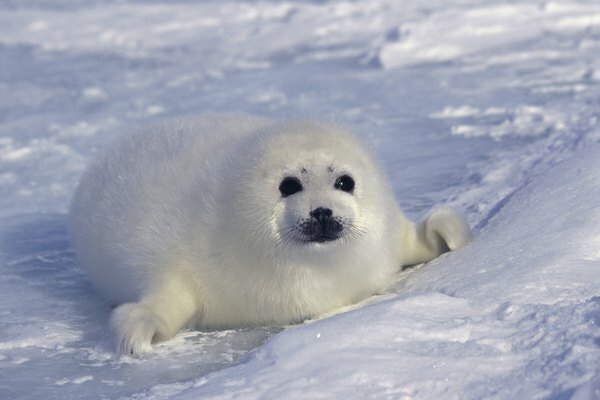 Even still, their fur is unlike land animals, which is most like a fluffy coat or thick fur to protect from weather or aid in camouflage. 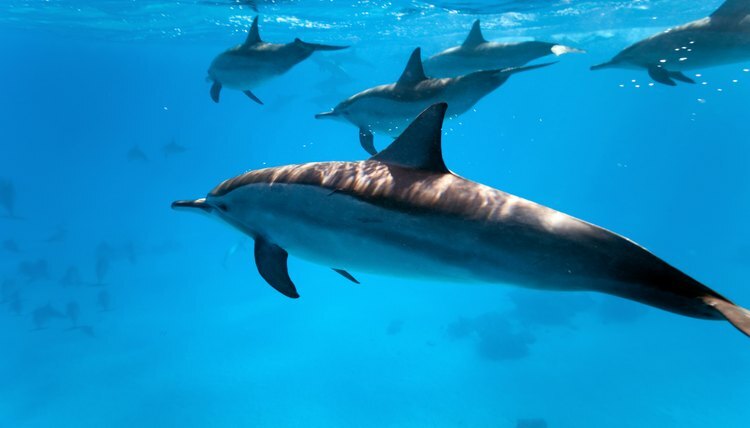 Sleek bodies of dolphins and whales cannot exist above water, due to the constant heat and dryness of air. Sea creatures need to keep warm underwater to maintain a core body temperature, which is why whales have a layer of fat or blubber. Both land and sea animals need oxygen to survive, but they go about breathing in different ways. Fish do not breathe directly into their lungs, as land animals do. As they live underwater, they breathe through gill membranes, allowing water to pass through and absorb oxygen in the water. Most land animals breathe as humans do, through their nose or mouth, filling their lungs with air.